Let your imagination run wild! 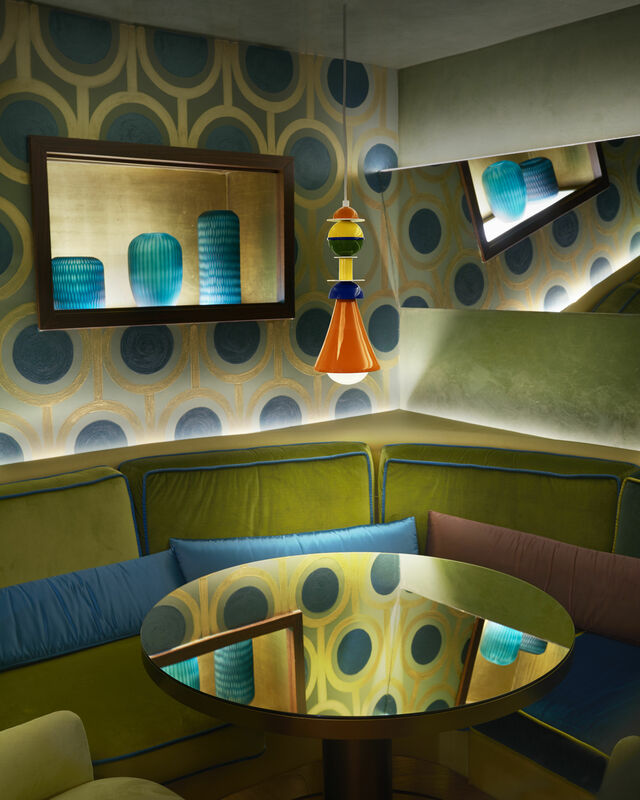 Otello is a stack of playful geometric shapes with vibrant colours. 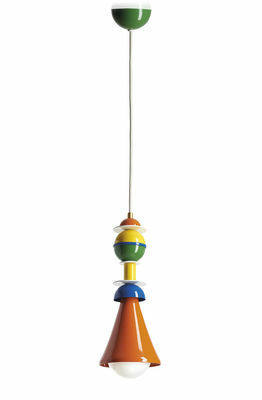 A true domestic centrepiece, this sculptural, unconventional pendant is a tribute to the famous Memphis movement. Founded in Milan in 1981 by Ettore Sottsass, Memphis became THE subversive label of Italian design with its eccentric world, zany and colourful. Made of lacquered aluminium, this highly decorative pendant spreads its good mood throughout the house!